Devil Fruit Appearance: The Chag Chag No Mi, or otherwise known as Form Form Fruit, has an interesting look to it. 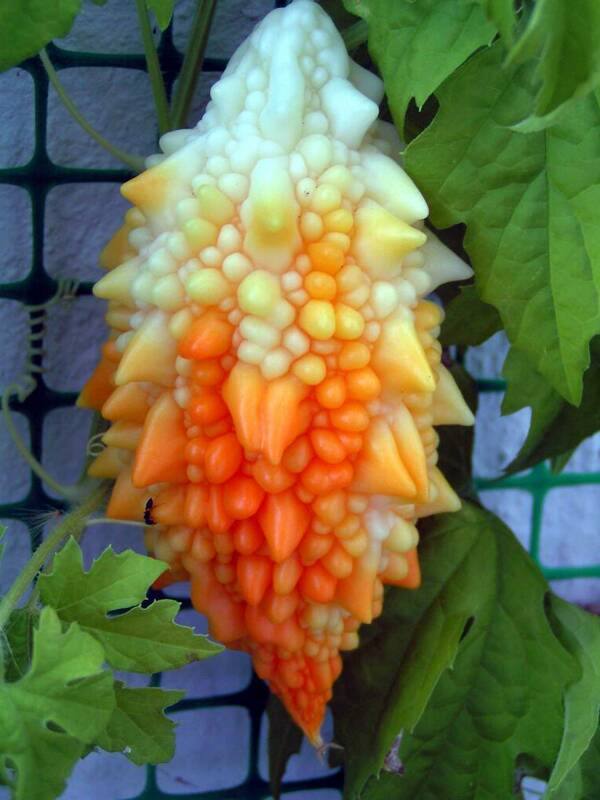 It looks as if it is covered with spikes and also has different colors to it such as Yellow, Red & White. When consumed, the fruit has little to no taste, but causes a strange feeling to form within your mouth, almost as if you just took a bite off of a cactus. Has your character already been created and accepted? : Not yet. How your character came to possess the fruit: During the time Allen spent in the Gang of Pirates, he came across a rumor among the crew that a strange fruit had grown on a large tree on the outside of South Blue. Later on when Allen was old enough to form a crew of his own, he set sail to the strange island that had a unreasonably large tree that had only one fruit growing from its top. Allen climbed the tree to claim the fruit, and as he took a bite from it, his mouth began to feel as if he consumed a cup of needles and began to choke then fell from the tree and landed on the ground. Allen then woke up to find that his Left Arm had been changed into a strange form that was light as a feather, but as strong as a Diamond, and as quick as the wind itself. Ability Description: The Form Form Fruit allows the User to transform his Left Arm into different shapes and sizes and allows him access to several different types of combat abilities/defensive abilities. Description: The user can turn his arm into a Monstrous thing and give it super human strength and super speed and on top of that make it as hard as diamonds, allowing the User to defend strong attacks and also cause massive damage if made direct contact to the Target. Note : Lasts 5 turns. Note : After the 5 turns has timed out, the User must wait another 3 turns before being able to use this move again. Description: The User can turn his/her Left Arm into a Blade shape, giving them the ability to deal slashing/piercing damage. Note: Must have Arm Transformation Activated. Note: Must learn from Allen Walker. Note: Once the 3 turns has timed out, you must then wait another 3 turns before using again. Description: The User can turn his/her Left Arm into a Gun shape, giving them the ability to shoot bullets made out of energy at their target. Note: With each bullet shot, the User's Energy slowly becomes drained. Note: Can only shoot a total of 200 bullets every 10 seconds. Weakness: Strong Physical Attacks directly to the arm & weight over 5,000 pounds. PM me to get your DF mission. Location : A little place called home.